Home » Posts » Fat is where it’s at!!! Fat is good. Fat is essential. Fat makes up approximately 20% of your body composition. Protein is good too. It makes up around 7% of your body composition. Water is in 80% of your body. This fast that you are doing right now is training you a lot about your habits more than anything else. It is tough work to go without food when it is all around you. This mental conditioning that you have undergone since you are young is hard to break. The key factor in this 3-day fast is training your mind to overcome your body’s trained physical demands. We know that if you trained these habits in then you can train them out. Fasting is the easiest (and most difficult) way to do this. The feelings that you are experiencing during your fast are for the most part an addiction to sugar. The solution is changing your body into a fat burner. A ketogenic diet will help you transition from these “sugar addictive” demands that you have created to a better energy utilization system using fats. You should have this in your fridge or cabinets ready to use for your meals. Proteins that you should have on hand include grass-fed beef or bison, organic turkey and organic chicken ( best if farm raised and local ). High quality Grass-Fed Whey Protein is the quickest and one of the best sources because of its immune boosting properties. You can also use pea protein( vegetable protein) as a additive to smoothies. Your proteins are where you want to invest the extra dollars because it can be the most toxic if you purchase lower priced commercially raised food. It is always important how you go about breaking a fast. You do not want to overwhelm your digestive system with many complex proteins, carbs or fats that are going to be hard to digest. I always like to break my fast with soup and shredded cabbage and salad. In addition to the amazing cleansing benefits of a water fast, cabbage can help promote further bowel cleansing by acting as a brush that scrapes down some of the build up that has accumulated on the walls of the intestines. 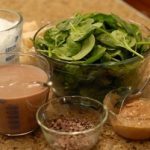 This soup and simple salad will help restart the digestive system and prepare it for the gradual reintroduction of food. Free Range Chicken or Turkey vegetable soup in real bone broth. Real bone broth is ideal however this will take some prep. So if you can’t have real bone broth that’s okay, do what you can (organic would be great). Add as many clean vegetables to the soup as you would like. 1 cup of chopped walnuts and almonds. Sprinkle hemp seeds and sunflower seeds on top. (Optional) One can of tuna. 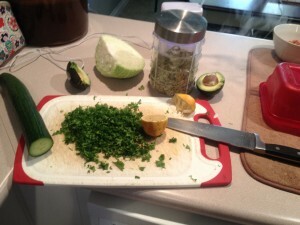 Use 1 lemon or lime, or both, to squeeze on to the salad for flavour along with some Olive oil or Avocado oil. Chicken vegetable soup in real bone broth. Bonus: If you want to continue at an accelerated rate of ketosis, you may continue with intermittent fasting. The protocol for intermittent fasting is toeat between 6-8 hours per day (eg. 10 am to 6 pm or 12 pm to 6 pm). The majority of your day is spent fasting. Great Job!!!! More recipes to come.